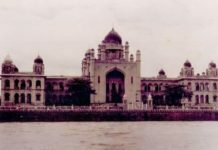 In Telangana the chief electoral officer’s office housed in the old Secretariat building in Khairatabad in Hyderabad, there is no such indication. With less than two months to go before the country’s youngest state goes to vote on December 7, holidays are unthinkable, says Chief Electoral Officer (CEO) Rajat Kumar, in between meetings with various officials to oversee poll preparations. 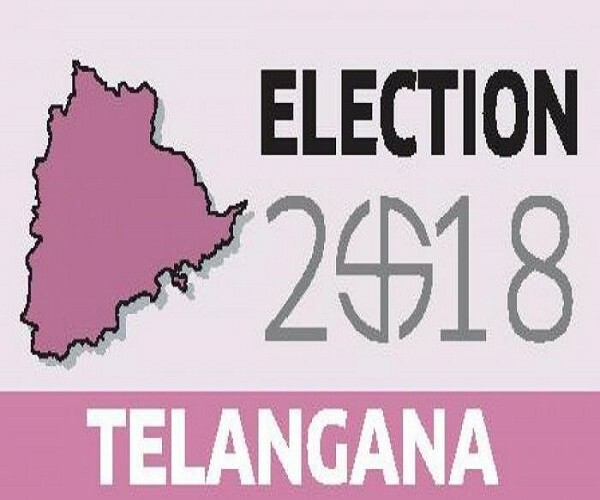 As the state’s 2.3 crore voters get ready to decide whether incumbent Chief Minister Kalvakuntla Chandrasekhar Rao and his Telangana Rashtra Samithi will stay on for another term, one of the priorities in the upcoming election (and the general elections in 2019) would be to curb the illicit flow of liquor and cash distribution. With good reason. According to Election Commission data, the highest amount of cash seized during the last general elections in 2014 came from undivided Andhra Pradesh, which accounted for more than half of the total seized money. Telangana CEO Kumar says that the highest amount of cash seized should not automatically be interpreted as the region seeing the highest amount of cash changing hands. But having given that disclaimer, Kumar says it remains a cause for concern, along with the distribution of alcohol to voters. With the exception of Kerala, the flow of cash offered as an incentive to voters during elections is a problem in other south Indian states as well, say analysts. With election dates only recently announced, campaigning is still gathering steam. 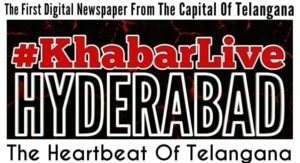 In Hyderabad, enforcement of the model code of conduct has left the city bereft of the larger-than-life cutouts of the chief minister and the trademark pink buntings and posters of his party. Yet, instances have already emerged of money being offered as inducements. For instance, E Ravinder Reddy, the TRS candidate from Yallareddy, 140 km from Hyderabad, was caught on camera offering a group of women Rs 5 lakh if they passed a “resolution” saying they would vote for his party (the women are also seen bargaining about whether that would be enough). The state’s home minister, Nayini Narasimha Reddy, too, found himself in a controversy after he mentioned that KCR had offered Rs 10 crore for his electoral expenses if he agreed to contest from a different constituency, a statement he later backtracked on. Incidentally, the three richest MPs in the current Lok Sabha are from Andhra Pradesh and Telangana. According to the Association of Democratic Reforms, TDP’s Jayadev Galla from Guntur tops the list with assets of over Rs 683 crore, followed by TRS’s Konda Vishweshwar Reddy from Chelvella, with `528 crore and BJP’s Gokaraju Gangaraju from Narsapuram in Andhra Pradesh, with declared assets of over Rs 288 crore. “Andhra has long been a pioneer in the use of cash in elections. But others like Tamil Nadu and Karnataka are catching up. Each election now sets a new record,” says Jayaprakash Narayan, former MLA and founder of the Foundation for Democratic Reforms, at his eighth floor office. From the balcony of the office in Begumpet, one gets a panoramic view of Pragathi Bhavan, the sprawling camp officecum-residence spread across 9 acres that KCR got built after coming into power, reportedly at a cost of Rs 50 crore. M Kondandaram, one of the leaders in the agitation for a separate state of Telangana and founder of the Telangana Jana Samithi, estimates that the trend of using a lot of cash in elections began in the post-liberalisation elections of 1994, when Naidu began using management techniques in polls. “This period also saw the rise of crony capitalism. Liberalisation initially had little impact on states but Andhra was an exception, being one of the reform oriented states. It also saw the coming together of business with politics.” Kodandram’s Jana Samithi recently entered into a “grand alliance” with the TDP, Congress and CPI in Telangana to take on the TRS. “We see a strong nexus between contractors and political power; projects are driven by contractors, who pay a lot of commission and then raise money, which gives the politicians the confidence they can manage the elections with money, ” says Kodandaram, during a conversation at his single storey residence in Tarnaka in the city. He alleges that in the upcoming elections, the TRS is prepared to spend Rs 1,000 crore to Rs 1,500 crore. 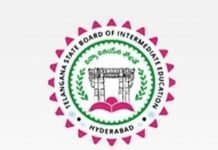 The TRS refutes these allegations, saying there is no question of ticket distribution being done on the basis of a candidate’s wealth. “The majority of our MLAs in 2014 were those active in the agitation for the last 15 years,” says TRS member of Parliament B Vinod Kumar. V Lakshmana Reddy, a former professor and founder of Election Watch, says when the non-profit began working in 2004, voters would be offered Rs 200 by candidates and only 30-35% of them would be accepting it. But now, this has even gone up to Rs 3,000, which is accepted by 80% of voters. “Money is usually given directly to voters along with pamphlets, by volunteers under the cover of night. They can evade the police by alerts passed around through mobile phones,” says Reddy. Election Watch, which counts former Chief Election Commissioner JM Lyngdoh as one of its advisors, plans to campaign against the use of cash for votes in the upcoming elections as well. They also end up having to distribute money to more voters now, as opposed to paying only those they considered likely to vote for them earlier because voters seek money from all quarters. With electoral expenses being so high, candidate selection, too, now depends on how much they would be capable of spending, says Narayan. “While big expenditure does not guarantee victory, non-expenditure now guarantees defeat,” says the former MLA. – Election Commission officials will distribute voter slips on the eve of the election. Earlier, parties were allowed to distribute the slips 48 hours before elections. But it was suspected that this was being misused to offer voters inducements or campaign at the last minute. – Vulnerability mapping and criticality analysis of poll areas is done by the police and district electoral officers. Sources of threats and intimidation are identified, taking into cognisance past incidents. The commission then launches confidence building measures in these areas through visits and interactions with the voters.